See the best new games online and be one of the first to play them. Enjoy a range of great promotions, including exclusive offers and weekly bonuses. 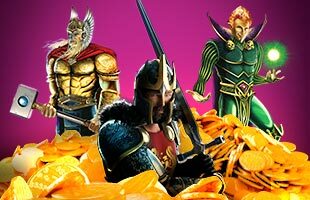 Play all your favourite Slots games on the go anytime and anywhere. 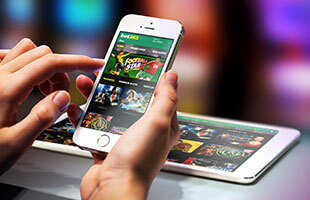 As granted by the General Directorate for Gaming Regulation, bet365 has been issued with the relevant licenses to operate in Spain. 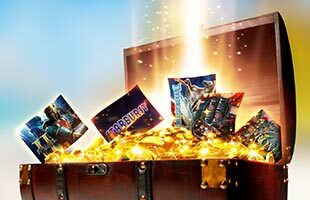 Deposit/transfer €10 or more to Slots in one single transaction and you will be entitled to a 100% bonus up to a maximum of €100. To bet with your bonus, wager the amount of your deposit/transfer once. You will need to wager your deposit/transfer and bonus 20 times on real money games prior to making a withdrawal. You must claim the bonus and complete all wagering requirements within 60 days of your first qualifying deposit/transfer. Where the bonus is not completed within 60 days, any funds held in the bonus balance will be forfeited. This offer is only available to customers residing in Spain. Offer closes at 00:59 CET on 11th June 2019. This offer must be claimed within seven days of the qualifying transaction. If a withdrawal or transfer out is actioned before the offer is claimed then any previous transactions will not count towards the initial qualifying criteria or subsequent wagering requirements. You can only have one active bonus at any one time. To claim another bonus the current active bonus must be completed or closed first. If you have previously claimed the Games New Player Bonus you will not be eligible to claim this offer.